NECSI has begun a detailed analysis of the dynamic flow of money in the U.S. economy. Our model can begin to guide monetary and fiscal policy towards sustained economic growth. The dynamics of financial flows and their significance for development, Y. Bar-Yam (June 11, 2018). Preliminary steps toward a universal economic dynamics for monetary and fiscal policy, Y. Bar-Yam, J. Langlois-Meurinne, M. Kawakatsu, R. Garcia (October 10, 2017). Steering the economy toward growth, Y. Bar-Yam (Novemeber 7, 2017). Accelerating economic growth and opportunity, Y. Bar-Yam (November 24, 2017). What should tax policy be for economic growth?, Y. Bar-Yam (December 1, 2017). 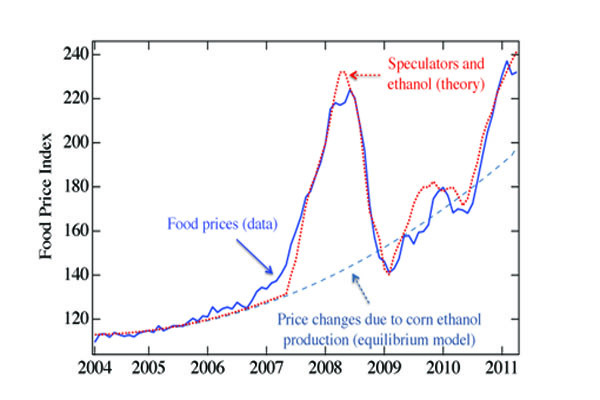 NECSI analysis reveals two main forces driving the global food price upward: ethanol conversion and speculation. This work has direct and immediate policy implications. "Fuel policy wreaks global havoc," D.K. Albino, C. Friedman, Y. Bar-Yam (August 3, 2013). Food for fuel: The price of ethanol, D.K. Albino, K.Z. Bertrand, Y. Bar-Yam (October 4, 2012). NECSI analysis shows that while the debt crisis is real, market overreactions made it much worse by driving interest rates higher at a critical time, leading policy-makers to over-react. By quantifying the stability and vulnerability of the market, this work lays the foundation for making informed decisions about when the government should and shouldn't intervene. The European debt crisis: Defaults and market equilibrium, M. Lagi, Y. Bar-Yam (September 27, 2012). A Proposal to Help Distressed Homeowners: A Government Payment-Sharing Plan, C. Foote, J. Fuhrer, E. Mauskopf, and P. Willen (July 9, 2009). NECSI analysis reveals that it is the internal structure of the market, not external news, which can cause a market to crash. The model which describes panic in the market successfully predicted observed market crashes. Anticipating economic market crises using measures of collective panic, D. Harmon, M. Lagi, M.A.M. de Aguiar, D. Chinellato, D. Braha, I. Epstein, Y. Bar-Yam (July 2015). Market Instability: Why flash crashes happen, V. Misra, Y. Bar-Yam (August 2, 2011). "Possible Early Warning Sign for Market Crashes," B. Keim (March 18, 2011). NECSI analysis provides direct evidence for illegal market manipulation in the stock market, including in the lead up to the financial crisis. The $500 AAPL close: Manipulation or hedging? A quantitative analysis, Yavni Bar-Yam, Marcus A.M. de Aguiar, and Yaneer Bar-Yam (September 3, 2013). Evidence of market manipulation in the financial crisis, V. Misra, M. Lagi, Y. Bar-Yam (December 13, 2011). The Stock Market Has Grown Unstable Since February 2018, B. Stacey and Y. Bar-Yam (June 1, 2018). Corporate Competition: A Self-Organizing Network, D. Braha, B. Stacey, and Y. Bar-Yam (July 2011). Networks of Economic Market Interdependence and Systemic Risk, D. Harmon, B. Stacey, Yavni Bar-Yam, and Yaneer Bar-Yam (November 16, 2010). "Analysis of 2008 Collapse Shows Economy Networked for Failure," B. Keim (November 18, 2010). Market Failure: Interdependence in Action,Y. Bar-Yam (October 3, 2008). A Regulatory System for the Financial Sector of Complex Systems Science, Remarks Prepared for Congressman Capuano's Roundtable Y. Bar-Yam (March 16, 2009).  Congressman Capuano's Response. "The Computer as a Road Map to Unknowable Territory," S. Vedantam (February 16, 2009). Press Release on the Uptick Rule (November 18, 2008). "There's a Better Way to Prevent ‘Bear Raids,'" R. C. Pozen and Y. Bar-Yam (November 18, 2008). "Analysis Shows Uptick Rule Vital to Market Stability," (November 18, 2008). Regulation of Short Selling: The Uptick Rule and Market Stability. Report presented at the Securities and Exchange Commission, Y. Bar-Yam, D. Harmon, V. Misra, and J. Ornstein (February 22, 2010). Technical Report on SEC Uptick Rule Proposals, D. Harmon and Y. Bar-Yam (April, 2009). Technical Report on the SEC Uptick Repeal Pilot, D. Harmon and Y. Bar-Yam (November 18, 2008). Flash Crash: NECSI responds to the SEC market circuit breaker rules, Y. Bar-Yam and D. Harmon (May 18, 2010).